Like a lot of women, I have over-processed hair from colouring and bleaching, which is all thanks to my love of bright and unusual colours. I’ve done the whole brunette-to-blonde ombré, and on top of that I’ve gone purple, green, turquoise and navy (I was prepared to go bubblegum pink, but my hairdresser talked me out of it). Over the past five years, we’ve witnessed so many colour trends taking the world by storm – each one more daring than the last. Recent trends I’ve seen have included the ‘orbital ombré’ – involving a halo of cosmic blues, purples and greens – and of course the trend for leafy-green hair as brought on by Pantone’s Colour of the Year 2017: Greenery. This year, the colour trend remains strong; however a lot of celebrities and influencers are now opting for healthy, virgin-like hair with mirror-sheen smoothness – which may seem like a pipe dream for most of us. And as hair care is so personal, it's so difficult to find products that instantly click and do wonders for your tresses. We've all been drawn into the hype of two-minute masks, leave in conditioners and luxury shampoos. Then, of course, 2016 saw the evolution of bond-rebuilders, which have been doing amazing things for those with damaged hair. 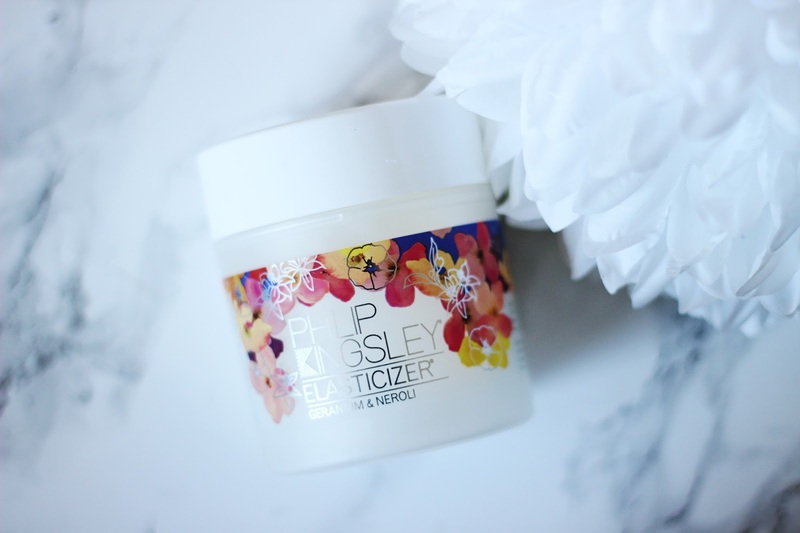 But there's one product that has always been light-years ahead of the rest, and that's Philip Kingsley's Elasticizer. Now, before you say anything, this isn't a sponsored post. I have been on a quest for the world's best haircare products for my entire life, and so I would not hesitate to give my honest opinion if it makes that journey shorter for others. The Elasticizer is a product that has been around for 40 years. Developed by the late Philip Kingsley for Audrey Hepburn, it is a pre-shampoo treatment that doubles up as an intense overnight mask - and it really is a miracle worker. I tried it on a whim one day after hearing rave reviews, and my God am I thankful I did. Slathering it onto dry hair, I waited for around 20 minutes before rinsing it off and carrying on with my normal haircare routine. You know when you can instantly feel a product getting to work? That's what I felt after applying the Elasticizer. After blow-drying my hair, expecting to feel my usual straggly, coarse split ends, I ran my fingers through soft, healthier-feeling hair. After one application, I was hooked. It didn't take long for this to become one of my hair routine staples. UPDATE: I attended the Philip Kingsley Summer Solutions launch, where we were introduced to their new products for summer 2017. I can happily say that the brand is launching a new version of the Elasticizer, Coconut Breeze, which features a beautifully summery and sensual scent that makes me so excited for holiday season!